With great reviews and greater moral values, The Greatest Showman is a movie that reached for the stars. 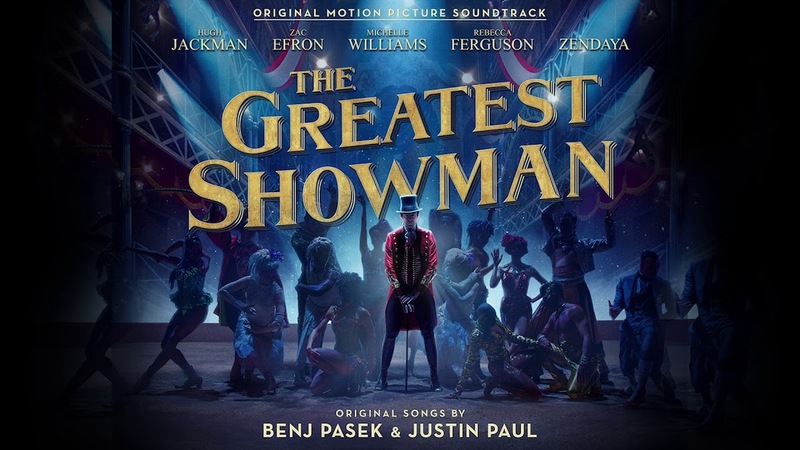 Starring Hugh Jackman, Zac Efron, Michelle Williams, Zendaya and more and directed by Michael Gracey, it’s inspired by the story of P. T. Barnum, an ambitious showman and businessman. It celebrates the birth of show business and tells of a visionary who rose from nothing to create a spectacle that became a worldwide sensation in a dazzling and catchy musical. Jaws were opened in awe, eyes were opened wide, songs were stuck in our heads and of course, lessons were learned from this amazing masterpiece of a movie. A lot of events could’ve been avoided for the better if it wasn’t for greed and the endless pursuit for the extravagant lifestyle. PT. Barnum was so caught up in giving his wife and children the life that his wife once had, that he dismissed the other people’s feelings and his priorities. Loved ones were disregarded and tossed away to the side. P.T. Barnum left his family to join Jenny Lind on her tour. He also left his family at the circus and treated them like nothing more than human moneymakers. In the end, it is those who will be there for you; not the crowds of cheering people, not the materialistic things. One of the best songs from the soundtrack as well as the winner for Best Original Song in the 75th Golden Globes; “This is Me” inspires you to be unapologetically yourself. People are always going to talk, not everyone is going to like you and judgements are inevitable – might as well enjoy the ride. 4. Learn how to take risks in life. After all, we only have one life to live. PT. Barnum was a risk taker. He bought a museum. He started something no one has ever done before. He gathered and united people, even when it seemed impossible to do so. Phillip Carlyle also took the risk of joining Barnum in this venture despite already having a stable life. You are your own worst critic. Don’t diminish yourself just because other people don’t see your potential. Don’t live your life based on other people’s standards. Like Phillip Carlyle and Anne Wheeler – they’re like forbidden lovers from different classes of the social triangle. Even with ups and downs, they pulled through and chose to put their happiness before the meaningless things people have to say. True love can move mountains. Charity was willing to sacrifice her lavish life, just to be with P.T. Barnum. He was willing to do so much just to provide a good life to his wife and children. Phillip realized being with Anne was the most beautiful thing he could ever ask for. The love everyone in the circus had for each other, despite being so different from one another. PT. Barnum had a lot of dreams and went out to get them. He dreamt of a lavish life with his life, people to know his name and more. He worked for it – doing anything possible to make those dreams a reality. It is an amazing movie that left 2017 and started 2018 on a positive note! Tell us, what are the lessons you’ve learned from the movie?